The impact of trauma can be both destructive and transformative. 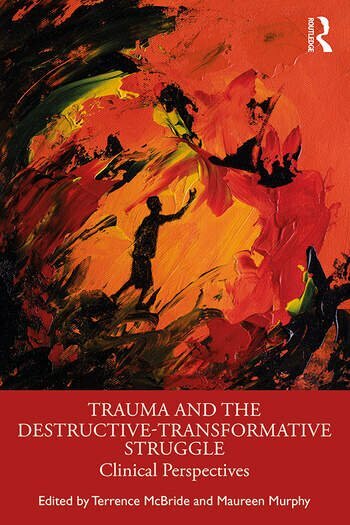 This important new book presents not only a range of theoretical frameworks through which different trauma can be understood, from the effects of childhood abuse to those of war and catastrophes, but also gives readers insights into how trauma presents itself in the consulting room. In each chapter the author uses clinical vignettes and detailed case histories to discuss the multiplicity and complexity of the trauma involved, eschewing a simple binary conception of internal vs external forces. A wide range of topics are covered, including: the lasting imprint of early trauma such as neglect or abuse on subsequent development; the somatic solution involved in life-threatening illness; unmetabolized mourning and embodied memory; the vibrating relationship between catastrophic external forces such as intergenerational effects, and the 9/11 terrorist attacks and the lasting effect of war on combatants and their families. Each chapter is screened through a different theoretical viewpoint, from Freud and Fairburn to Winnicott, Bion and Ogden, while the work of several contemporary theorists is also discussed. Crucially, the final section of the book looks at those issues faced by analysts when working with traumatized patients, highlighting the key idea of dissociation, the dilemma around empathy, and the factors that affect the patient’s unconscious meaning. Trauma and the Destructive-Transformative Struggle: Clinical Perspectives illuminates the resilience needed by both patient and analyst. It will be a vital resource for both clinical practitioners specialising in trauma and psychoanalytic researchers in the field of trauma studies. Terrence McBride is a Training and Supervising Analyst and Faculty Member at the Los Angeles Institute and Society for Psychoanalytic Studies. He is also Past President and former Dean and Director of Training at LAISPS. He is on the Board of the North American Psychoanalytic Confederation (NAPsaC) and is the current President of the Confederation of Independent Psychoanalytic Societies (CIPS). He is in private practice in Los Angeles, California. Maureen Murphy is a Personal and Supervising Analyst and Faculty member at the Psychoanalytic Institute of Northern California (PINC). She was the Founding President of PINC and former chair of NAPsaC. She teaches courses on contemporary psychosomatic concepts particularly the impact of burgeoning biotechnology on core psychoanalytic concepts. She is in private practice in San Francisco.